Seattle's decision ends Hernandez's run of 10 consecutive Opening Day starts. That was the longest active streak in the majors and tied for the fourth-longest ever -- Jack Morris set the mark at 14. 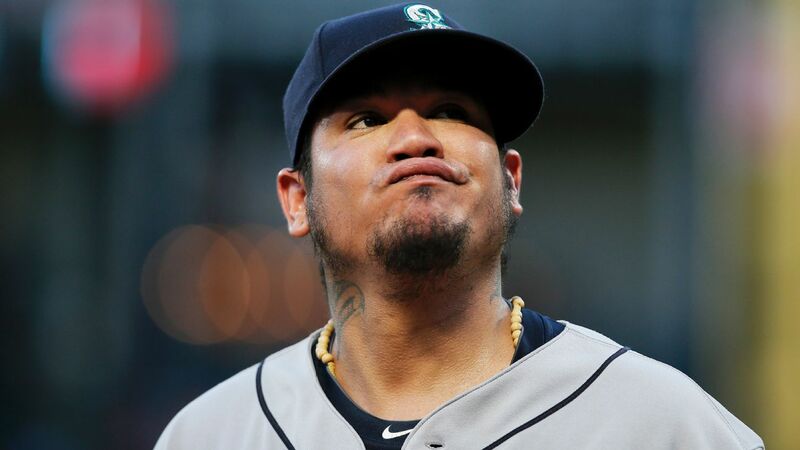 Erik Bedard was the last starter before Hernandez to open a season on the mound for the Mariners. Hernandez spoke publicly after his outing Sunday for the first time since Servais' announcement. Asked if he was upset, Hernandez said simply, "Yeah," but declined to elaborate on his emotions. It's the latest disappointment during Hernandez's yearslong slide from stardom. Once a 19-year-old phenom, the 32-year-old has been losing fastball velocity since his mid-20s and been mostly hobbled and ineffective since turning 30. His ailments have been many. Among the disclosed: lower back stiffness, right biceps tendinitis, right shoulder inflammation, a strained right calf -- and that covers only the past three seasons. Armed with a dastardly, dive-bombing changeup, Hernandez won 19 games in 2009, the Cy Young Award in 2010 and made six All-Star teams. He has been the face of the franchise, and his King's Court fan section in Seattle was once among baseball's hottest tickets. 3B Kyle Seager is awaiting MRI results after rolling over his left wrist during a game Friday. X-rays of his hand and wrist were negative. ... OF Mallex Smith (strained right elbow) felt good after swinging in a cage Saturday and might take batting practice Monday. ... RHP Hunter Strickland (lower back tightness) was expected to play catch Sunday and be evaluated after. ... Seattle announced that all 23 pre-arbitration eligible players on the roster had signed 2019 contracts. ... The Mariners re-assigned five players to minor league camp: RHPs Ryan Garton, Tyler Danish and Robinson Leyer; LHP Matt Tenuta; and OF Dom Thompson-Williams.